STUART - Jeanette Mueller was in shock when she suddenly collapsed one early May morning and later learned she had suffered a massive heart attack. At 61, she ate healthfully, never had any indicators of heart disease and lived an active lifestyle that included teaching several fitness classes each week for nearly a decade. But three years ago, a rare vascular disease almost cost Ms. Mueller her life, causing the unlikely candidate to suffer a cardiac arrest that threatened to derail her future. "I don't remember anything about it. I've lost about a month of my memory surrounding the incident, but I know I collapsed," she said. "Fortunately my husband was home and administered CPR. Otherwise, I probably wouldn't be here today." It wasn't until her heart attack that doctors diagnosed Ms. Mueller with Prinzmetal's angina, a form of chest pain, pressure or tightness that results from vascular spasms. The disease is especially hard to diagnose because its symptoms often resemble other conditions, according to medical professionals. Chest pain, the most obvious sign, might disappear for months, according to information from the American Heart Association. And when it does return, the pain usually strikes between midnight and around 8 a.m.
That's what happened to Ms. Mueller, who suffered a sudden early morning attack. "I tell everybody I'm lucky to be here," she said. "This is a disease doctors usually don't know you have until they perform an autopsy." That spirit of gratitude has spurred on the Stuart's woman's desire to contribute to her community. 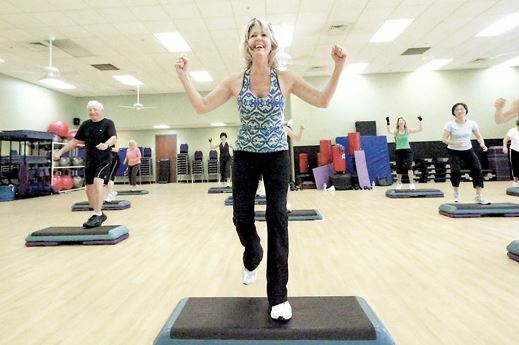 Months after the heart attack, she had made a full recovery and was back teaching kick boxing, weight training, and other high- and low-impact aerobics at Martin Memorial Health System's wellness centers across the county. She also continued volunteer work with several nonprofit organizations, a commitment that last month earned her a Women of Distinction award from Soroptimist International of Stuart. One day before the third anniversary of the heart attack, May 3, Ms. Mueller, who had just returned from a visit to the cardiologist, was in good health and spirits. "Every time I go in (to the doctor) she is always amazed because I really shouldn't be here," she said. "The stars and the moon must have all been aligned that day. I treat every day as a gift because you just don't know what's going to happen next."